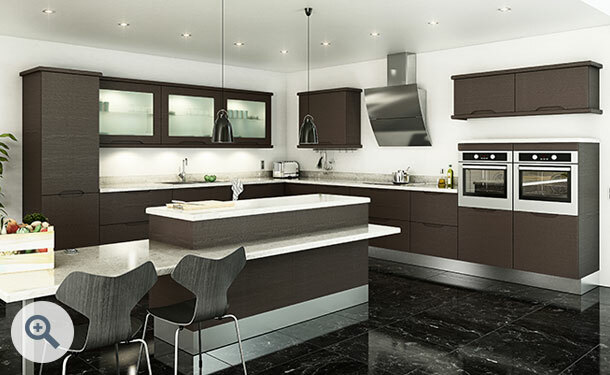 The Handleless Overton kitchen door design creates a statement kitchen. Made from 18mm MDF and available in all finishes the handleless cabinets give a streamlined, tailored look. The dramatic look is complemented with large open framed doors fitted with frosted glass. Handleless Overton kitchen doors start from only £7.69. Click the button to request a free large sample swatch of Horizontal Melinga Oak. Click the button to purchase a Sample Handleless Overton design door in the Horizontal Melinga Oak finish. The Handleless Overton design is also available in ALL non-gloss finishes. 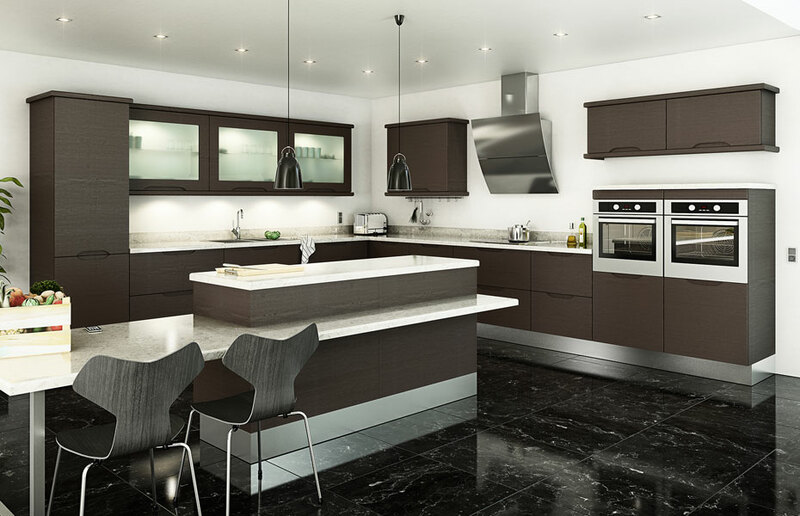 The Handleless Overton design is also available in ALL high gloss finishes. Please Note: The Handleless Overton design is not available in any high gloss finishes.